Hi, my name is Joseph Meade and I am a staff writer on the Omega(this is my third year). I am usually called Joe, Joey, or Joe Meade. Last year, I wrote pieces on Michigan football and basketball, my personal experiences as a student, and a couple Fauxmega related topics. This year I will write about my experiences as a sophomore, and other people’s experiences as sophomores (or students). Besides Omega, I am the 10th Grade Ceo, am on the cross country and baseball team, and am in the Band. Outside of school, I am a diehard Michigan Football fan (believe me), and I love to cheer for the Detroit Lions. I am also a colossal fan of Jim Harbaugh and admire his work ethic. 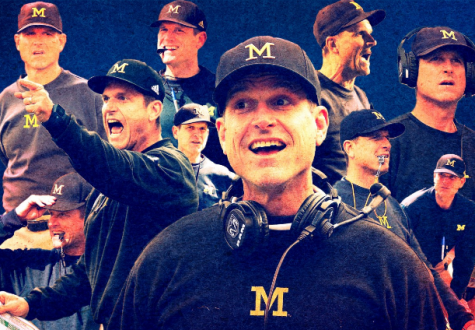 You can ask me anything about Jim Harbaugh and I will answer it. This is my fourth year at Oratory Prep.